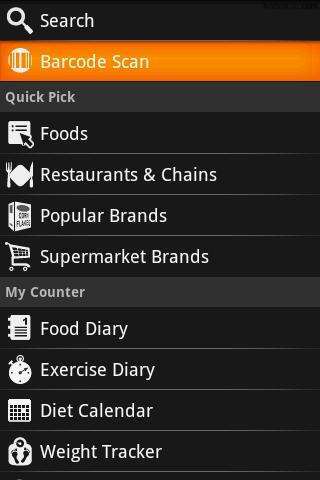 Absolute Fitness allows you to log and manage your food intake, exercise and weight. It gives you the ability to see the nutritional composition of more than 10,000 different kinds of foods and the calorie expenditure of more than 180 different types of exercises. 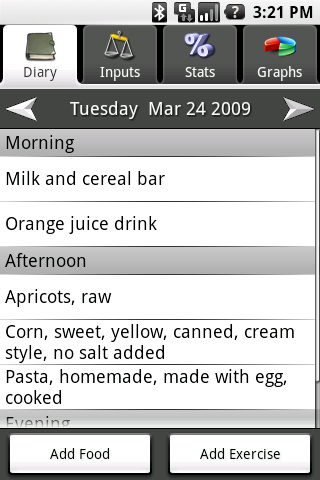 It also allows you to set customized diet goals and keep track of your progress. An extensive food and exercise database (with the ability to add custom items). Nutritional information on macronutrients (calories, fat, etc.) and more than 30 different types of vitamins and minerals*. Automatic calculation of daily nutrient limits based on your profile and your dietary goal (with the ability to set custom limits). 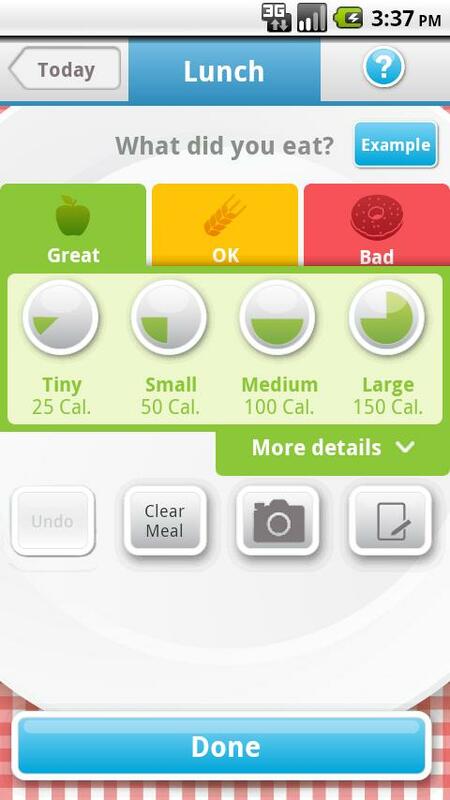 Dynamic daily nutritional snapshots that help you see how much you have eaten and how much you can still eat. Graphical charts to track your weight, calories and others over different periods of time. Ability to create Custom “meals” (food items composed of many individual items – e.g. a salad). Tracking of Body Fat %, Blood Pressure, Hours of Sleep and Number of glasses of water. Ability to export data into two different formats (HTML and CSV). Video Tutorials and User’s Guide. 2. CardioTrainer by WorkSmart Labs Inc. 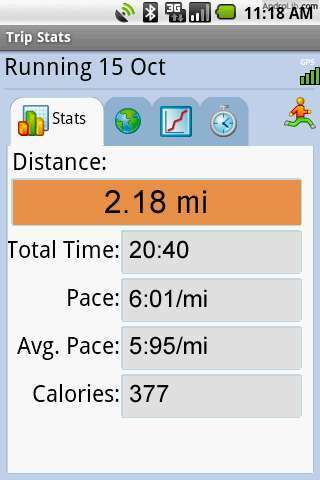 Pro version of the popular C25K app. 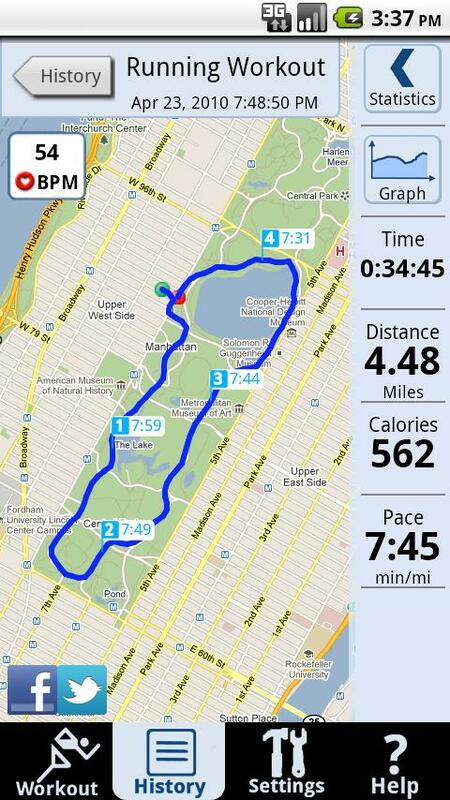 Following the Couch to 5K plan, this app times your workout while you listen to your own music. It plays an audio signal when you need to switch your pace. Pro has background mode, music controller, custom sounds and notifications, and facebook integration. Track your sport in real time and challenge your friends using the built-in GPS. 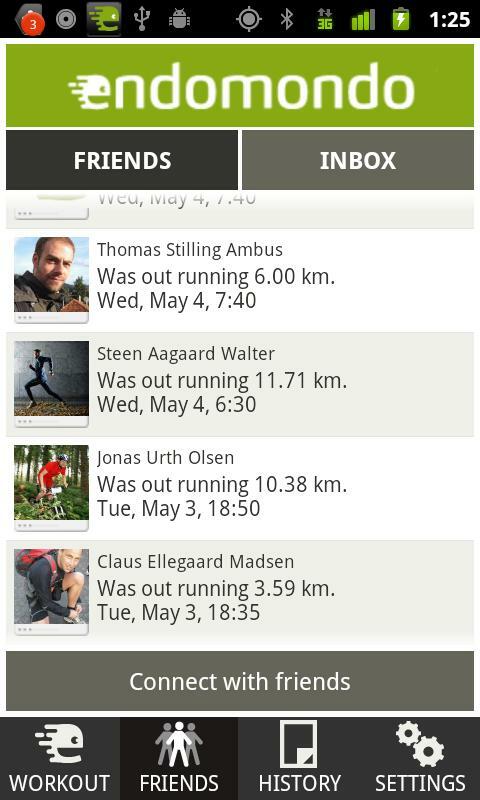 This is the PRO version of the free Endomondo Sports Tracker – your personal coach when doing sports. 6. Noom Weight Loss by WorkSmart Labs Inc. Lose weight without going crazy! Noom Weight Loss is a full-featured app that helps you achieve your weight loss goals by combining exercise tracking, food logging and motivation into one easy-to-use package. Set up a personal weight loss plan and then track your progress, log meals, get exercise reminders, and track all your activities — from walking to yoga! Everything is either automatic or as easy as possible, so you don’t need to be an obsessive Type A to use it (but it doesn’t hurt!). 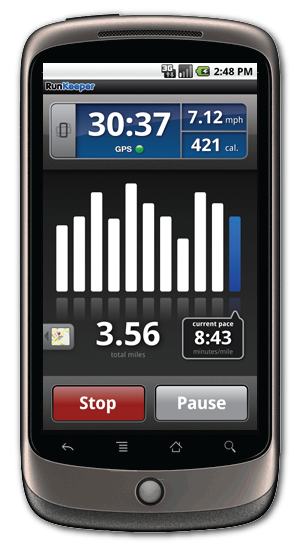 Reach your fitness goals faster with AllSport GPS! Track your routes, distance, time, speed and calories burned; view maps, elevation and speed graphs; configure the display the way you want; enjoy the thrill of virtual races; download routes from the BICYCLING magazine; share workouts online & Facebook & Twitter. BeerGut Fitness is the calorie checkbook that will assist you in avoiding its namesake, the beer gut(or any other alcohol related gut, really. 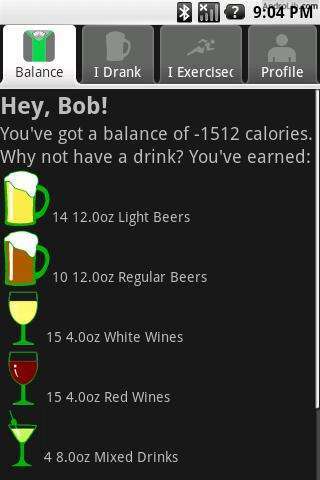 Here’s the drill: you go out and have a few drinks, you tell BeerGut what you had, and it adds calories to your balance based on average calories per ounce for what you drank. Now, since you’re a fitness minded guy or gal, you’re no doubt going to work out to make up for all of those Friday-after-work calorie bombs. Tell BeerGut what you did and for how long, and it will deduct calories from your balance based on your body type and an average MET for that exercise. Voila, you now have a fitness feedback tool in your pocket that can help you stave off those pounds and enjoy those well-deserved drinks at the same time. 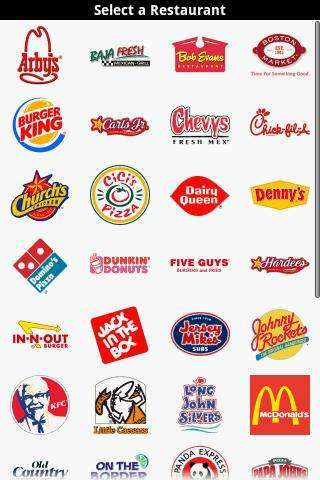 Trying to reconcile your diet with your love for fast food? With this handy guide, you can keep your diet on track when you have to eat on the run! Now with 73 restaurants and 9,141 menu items. Each item has nutritional information including calories, fat, carbs, fiber, and protein. FREE updates to come!